Optimize Your Google Search Campaigns to Deliver Relevant Information to the the Right People at the Right Time. Experience the power of AI with 50+ optimizers aiming to get the best possible ROI for your marketing dollars. With OnlineSales.ai you’re bids are changed and optimized on keyword level to give you the best possible ROI. 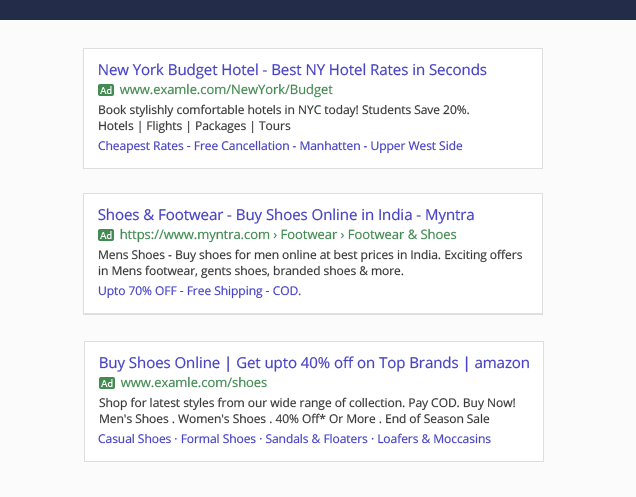 OnlineSales.ai auto generates highly relevant Ad Groups and Ad copies for your Google Search campaigns. Say goodbye to hours wasted in creating relevant ad copies & low quality ad scores. 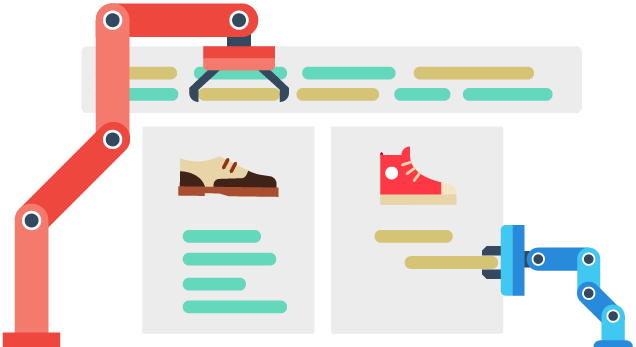 Generating keywords like “Black T-Shirts” or “Sport Shoes” is easy. OnlineSales.ai takes this further by generating long tail or high intent keywords for your ads. For example: “Zara Black Collared T-shirt” is an extremely high intent keyword. The user knows what he wants and is ready to make the purchase. 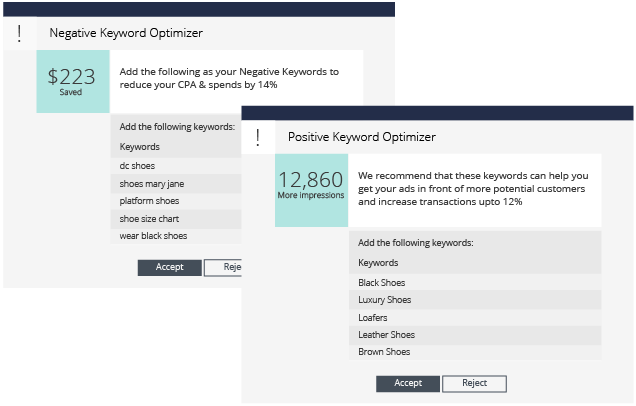 OnlineSales.ai creates such High Intent keywords with 1-Click as well as creates the respective ad copy for it. 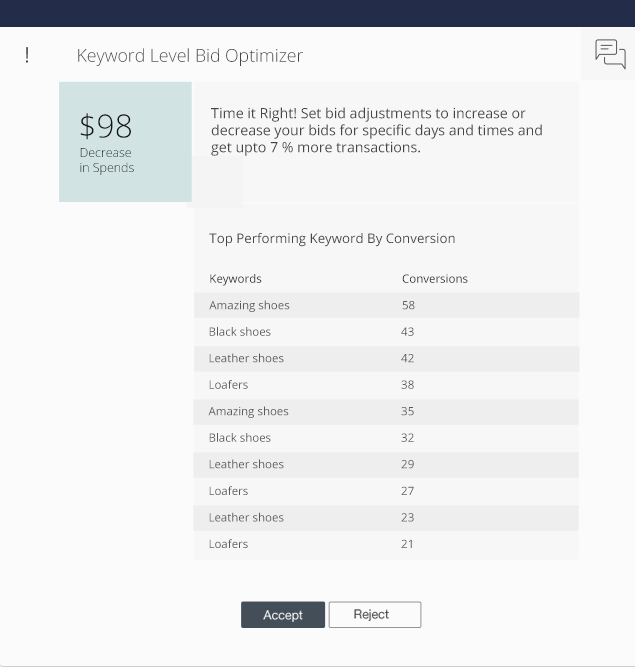 Keywords like these have low bids and also convert the fastest. OnlineSales.ai automatically segments your audience on the basis of demographics, interest & product affinity etc. It uses this information to create relevant campaigns and ad groups so you get closer to your ROI goals.